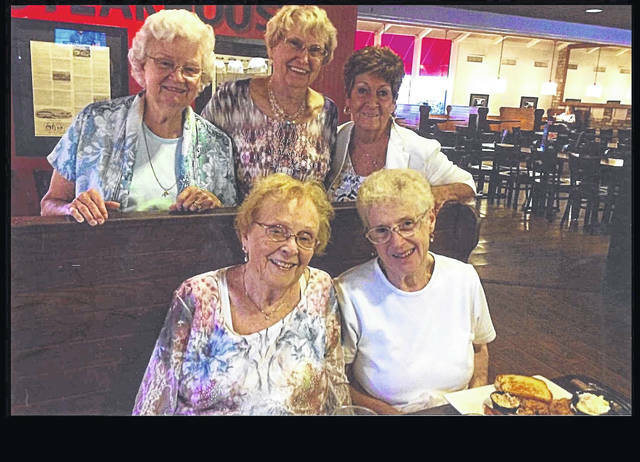 Members of the St. Gerard High School class of 1953 held their 65th class reunion recently at Lock Sixteen. Attendees included, front row, left to right, Barbara (Pugh) Wilcox and Ruth (Gilmore) Weichart, back row, from left, Rose (Holtz) Jackson, Carolyn (Copeland) McNamara and Peg (O’Connor) Cheney. Not pictured was Toni (Backus) Grimm.